It's Thursday! Just one more day of work and then your off to a wonderful weekend full of love, laughter and fun! 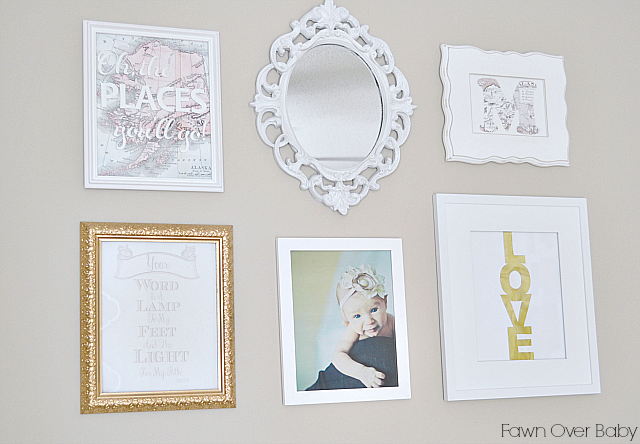 Well, If you're like me and your fun consist of touching up a space in your home by adding a new accent piece here and there, then I have a sweet little DIY Print that will be the perfect companion for any wall, shelf or tabletop! I'm sure you've seen these gilded gold leaf prints everywhere online. They are an absolutely adorable accent that can be displayed anywhere in your home! If you choose a phrase, message or even an animal silhouette - these prints add a perfect touch of shine and whimsy in a simplistic and chic way. 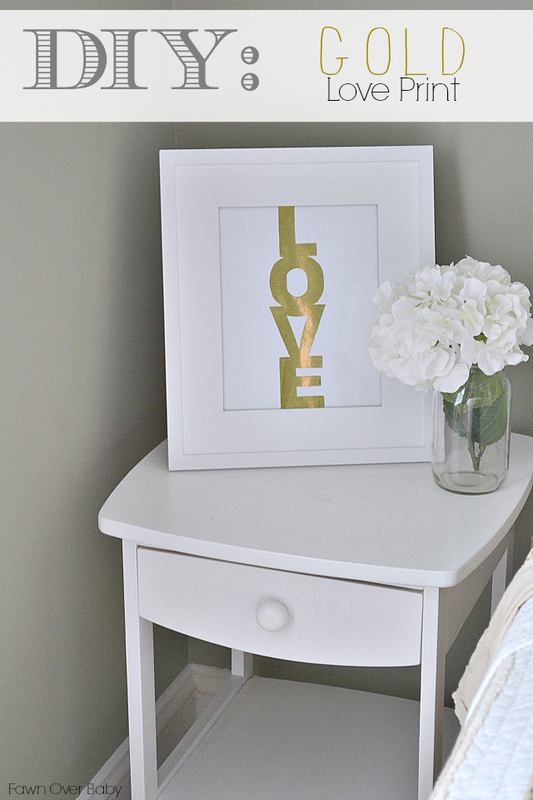 I was so close to buying a print until I found this awesome and easy How-To from Sugar & Chic! Zorrie's version is absolute perfection and her tutorial is so easy to follow. However, I wanted to use what I had laying around the house and the one thing I did not have that her tutorial calls for is the gold leaf sheets. You can find them at any craft store, however, I had a roll of Gold Foil Wrapping Paper I bought at Hobby Lobby a while back. I thought I would give it a try before I went out and bought gold leaf sheets and I'm glad I did. This print cost me $0.00 and it turned out just as cute as the prints I see for sale online. 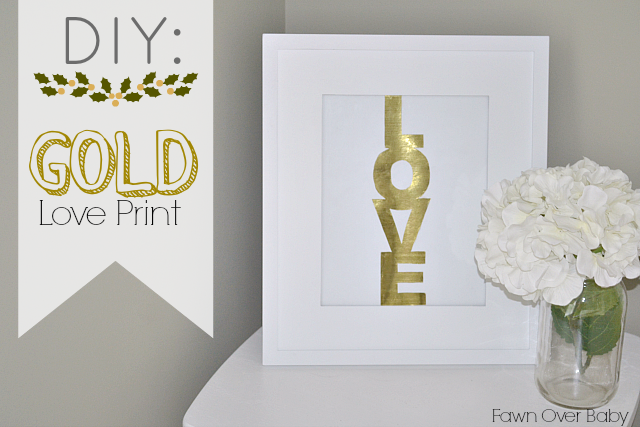 See below for my tutorial on how to create a GOLD "LOVE" PRINT using gold foil gift-wrap. Spray Adhesive - I used a crafting glue stick that I had on hand, I suggest using spray adhesive to cut back on wrinkles. Print Out Your Word, Message or Silhouette of Choice. I simply used Microsoft Word using font Arial Black at 660pnt. Use X-acto knife to cut out your letters making sure you stay as close to the edge of your letters as possible. Outline/Trace your card stock onto the back of your gold gift wrap then cut. Adhere your white card stock(with word cut out) onto the front of your gold gift wrap. Don't forget the little pieces that need to be added to complete your letter. Let Dry then Frame!! ALL DONE!! I hope you enjoyed this How-To. Feel free to share your finished product via email or commenting below! Have a wonderful weekend! I'm a sucker for anything gold and this is gorgeous! And so easy! Thanks for sharing.